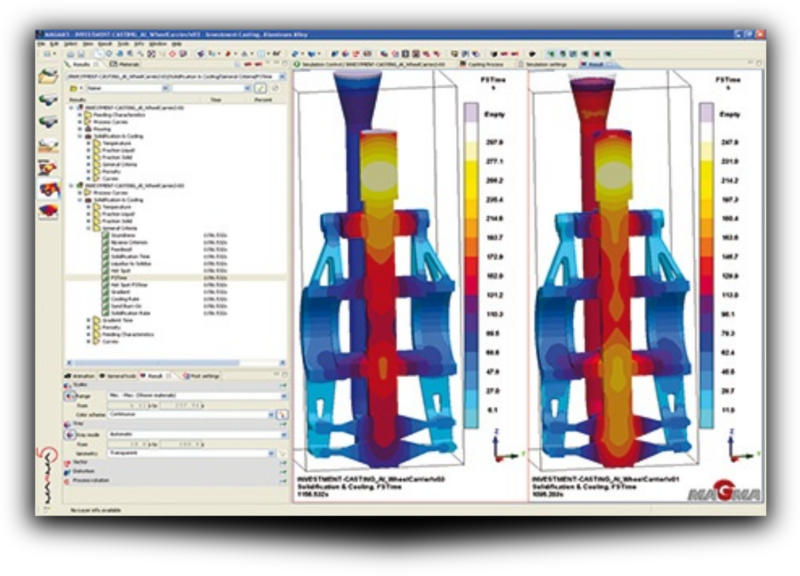 MAGMA 5 is the comprehensive and effective simulation tool for improving metalcasting quality, optimizing process conditions and substantially reducing costs in production. The software enables the establishment of robust process conditions and optimized casting layouts for all cast materials and processes. 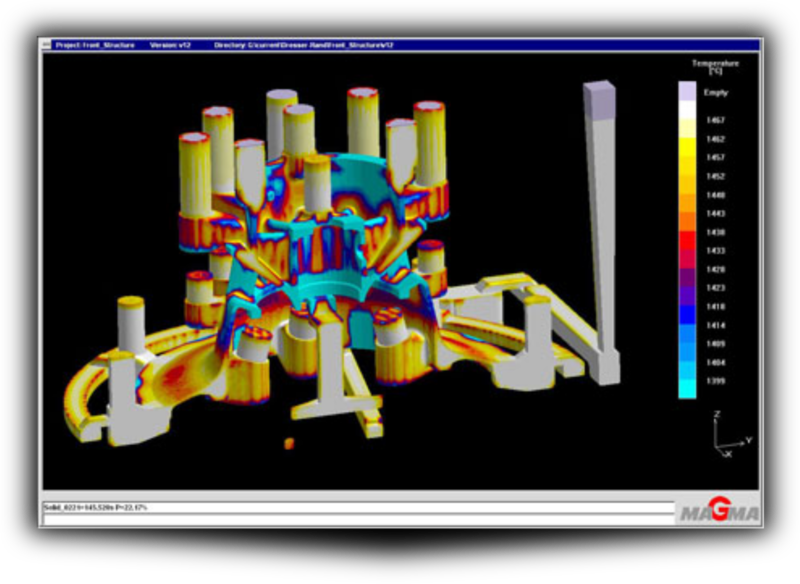 MAGMA 5 is designed to predict total metalcasting quality by simulating mold filling, solidification and cooling. Residual stresses and distortion, as well as microstructure formation and property distributions can be assessed in all casting manufacturing processes. 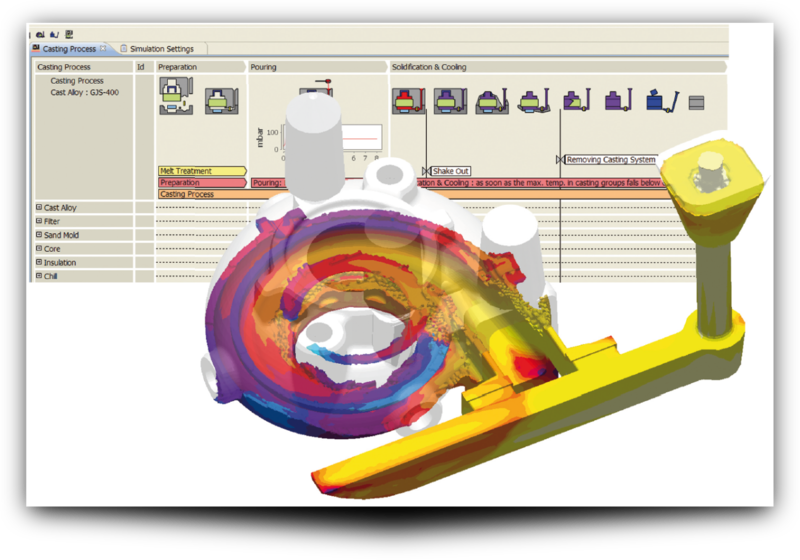 Simulations can be used in a virtual test plan to pursue different quality and cost objectives simultaneously. MAGMA 5 is designed to support all aspects of casting manufacture, from casting design, melting and metallurgy, pattern and mold making, and casting itself through to heat treatment, fettling and repair. MAGMA 5 can be used for all cast materials, ranging from gray iron, sand and die cast aluminum, to large steel castings. MAGMA 5 is also applicable to all metalcasting processes, for example allowing the die caster to design robust tooling layouts, minimize cycle times and predict reproducible casting quality, by using virtual experimentation during casting, tool and process lay-out.